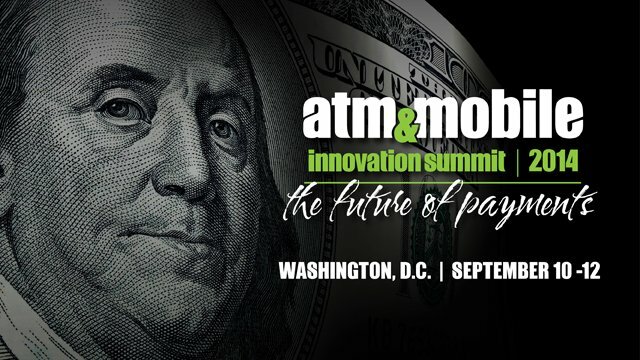 The second annual ATM & Mobile Innovation Summit will take place Sept. 10–12 at the Capital Hilton, just blocks from the White House in Washington, D.C. The event will feature approximately 40 speakers, including representatives from the Bitcoin Investment Trust; PAI; Bitpay; RoboCoin; SECU of Maryland; TecBan; US Bank; MasterCard; Early Warning; Glenbrook; Verifone; Citi; CU24; JP Morgan; CrowdStrike; and several government agencies, regulators and attorneys. This year's Summit will kick off with a session discussing and debating the convergence of Bitcoin, ATMs and mobile payments. Bitcoin is the peer-to-peer payment system or "virtual currency" that is not controlled by a central bank, but that consumers are increasingly using to buy and sell goods and services. Bitcoin ATMs have emerged on the market to turn bitcoins into physical currency, and vice versa. "For the past 17 years in the payments industry, I've never seen as much change as we're experiencing right now," said Tom Harper, president and CEO of Networld Media Group, publisher of ATMmarketplace.com and MobilePaymentsToday.com, as well as the producer of the Summit. "Consumers are used to the ATM, they're used to the phone, so what's going on is really a natural evolution of payments combining old and new technologies in a strange sort of marriage," Harper said. The day-and-a-half event also features a pre-summit workshop on ATM and mobile compliance led by attorneys from Cox Smith and BuckleySandler LLP. The summit is a partnership between Networld Media Group and the Electronic Funds Transfer Association and is sponsored by the ATM Industry Association and MagTek. "You can't pick up the paper today without reading about Bitcoin and there is certainly a significant regulatory component to any discussion of digital currencies," said Kurt Helwig, president and CEO of the EFTA. "One of the things that I really like about the Summit this year is that we will be hearing from speakers from around the world discussing the development and implementation of leading-edge payment technologies and services in their countries and the convergence of the two," he said. This summit has been created specifically for financial institutions, payment companies, analyst and legal firms, processors, card networks, security firms, large retailers and ATM deployers. Registration is now open at atmandmobilesummit.com, and earlybird pricing is in effect.